One of the latest ways to promote your business is using the new Google service, Google Plus. Google Plus is a social media site designed by Google to take advantage of their ability to categorize and personalize all types of information. If you aren’t familiar with using this service yet, then as a fellow business owner to another, I suggest you get busy as using this new service effectively can boost your business reputation and provide you with an efficient method of seeing what your customers are saying about you. Here are four ways that you can use Google Plus to boost your business. Hangouts are an exclusive feature of Google Plus that allows you to chat with up to 10 participants using the feature’s video chat options. Business owners can use Hangouts to communicate directly with clients, partners, or customers about a wide variety of topics, from new products to company changes to event announcements. The number of participants can be changed on a case-by-case basis, allowing for a one-on-one communication for the situations that require it. The Circles feature of Google Plus provides a way to organize individuals into groups based on common criteria. For example, a business could have a Circle of Utah marketing contacts, a Circle of female customers, or a Circle of customers that purchase baby items. By sorting the people that your business deals with into Circles, you can increase your success of finding your target market by doling out information to specific types of customers and ensure that the information reaches the people that would be interested in it. This is a very nifty feature as it lets you classify and categorize those that would be interested in your product or service. The Sparks feature on Google Plus allows users to target their posts to specific groups of other users, instead of the default choice of posting the information for everyone to see. After identifying and arranging users into specific Circles, a business can focus their marketing opportunities on specific Circles and have the information they want to communicate displayed directly to the people that would get the most use out of it or be most likely to purchase it. Instead of just posting content in the hopes that users will find it, this feature will sift through the classified Circles and have it brought to their attention. The privacy controls on Google Plus are designed to be some of the most useful privacy controls in the industry. All photos and videos are automatically designated as private until the user decides who should be able to view them. Businesses can exert greater control over their brand message and advertising while keeping the personal information of their customers secure behind the privacy wall. 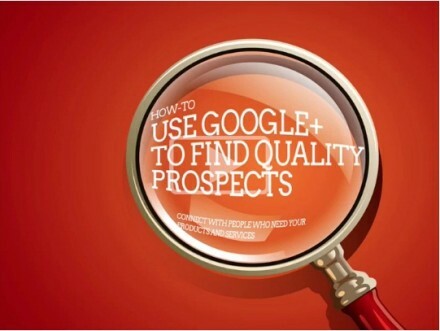 There are many different methods available to boost your company’s brand using Google Plus. Exploring some of these options can be very beneficial to any business that is seeking to increase its online presence.